You asked and we’ve answered! 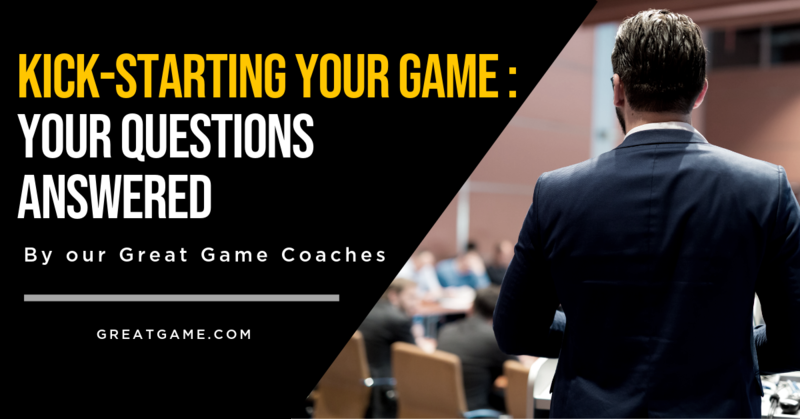 In this blog series, our experienced Great Game coaches answer questions directly from the open-book community. What is the best coaching tip you have for companies just starting to practice the Great Game of Business? Be sure the CEO is fully bought in, directly involved, is a main cheerleader, sets the example, and ensures that all involved (especially 100% of the leadership team) are enrolled and on board. Period! Create a solid communication and business literacy training process via a weekly Huddle rhythm.